Very soft material. Nice colors, easily washed and dried. 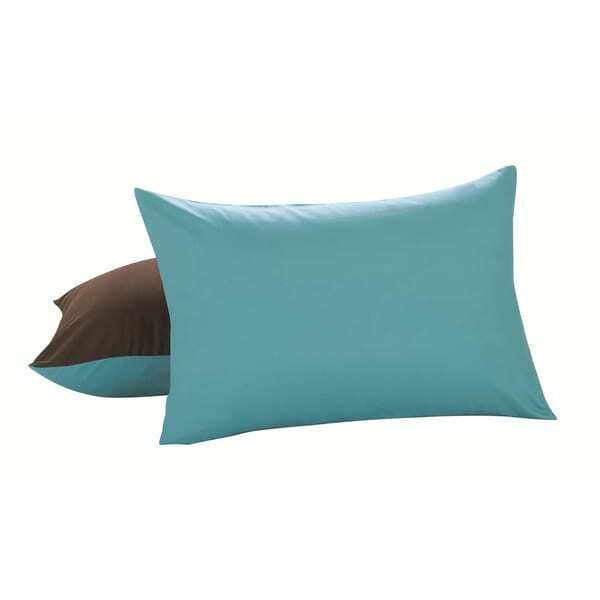 Lux Hotel reversible pillow shams give your bed a finished look.They are made of easy care fabric and each sham has two distinctivecolors to change up your look. The shams are just okay -- the material is thin and the fabric creates lots of static. I purchased them for the sham pillows for our couch, but the shams keep falling off. These are nice pillows. They are soft and a good color as well. Nice item, colors are true to picture. Room for improvement with quality of fabric. Great Color, Great Quality, but it needs to be a touch larger.